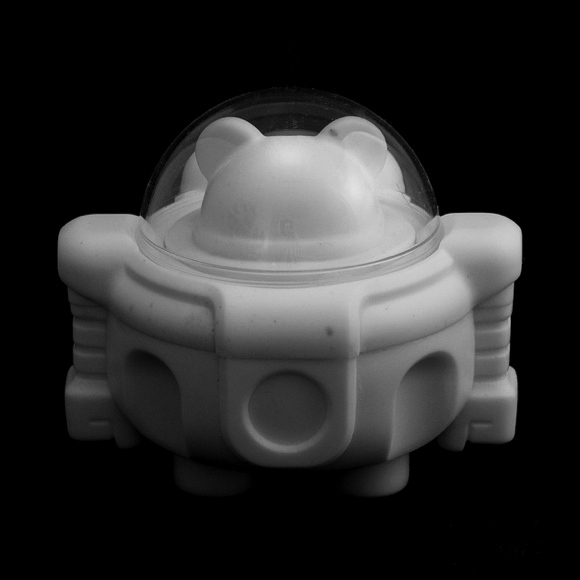 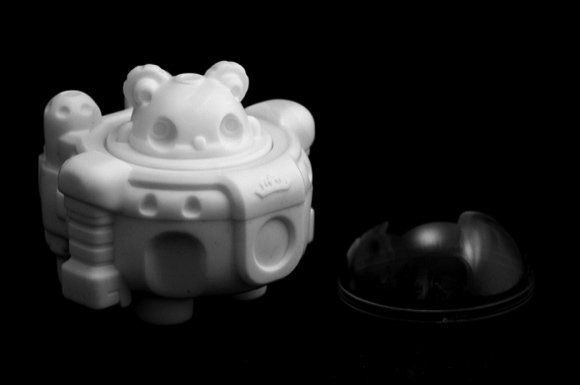 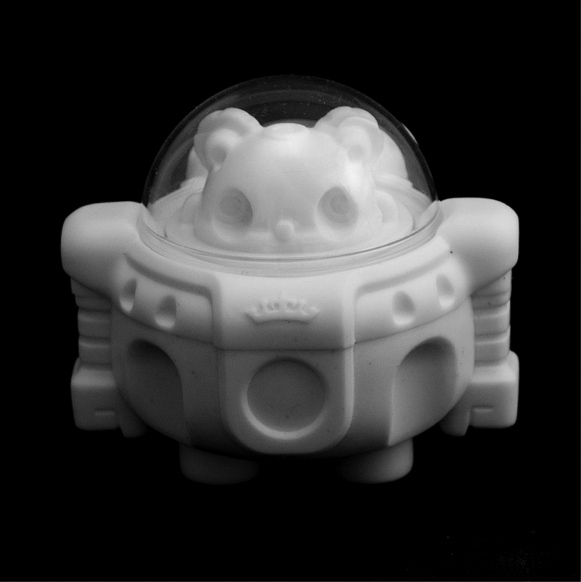 Ruling the London DIY toy scene, Cris Rose and Podgy Panda are crossing their creative streams to create a pair of new resin figures. 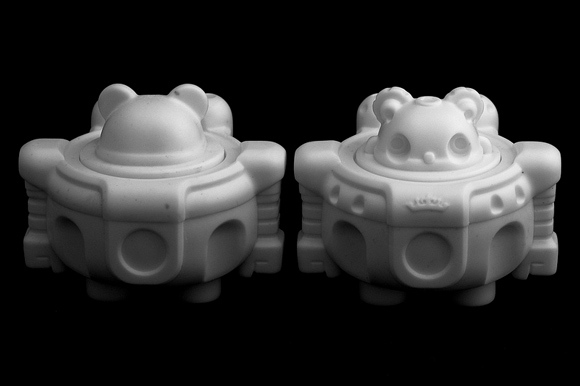 Originally featured on ToysRevil, Cris’s character (seen on the right) is a robotic chef with jet pack and splash guard to fly around and serve up food while Podgy’s Panda (seen on the left) is a hefty fella that gets around with his suped-up spacesuit. 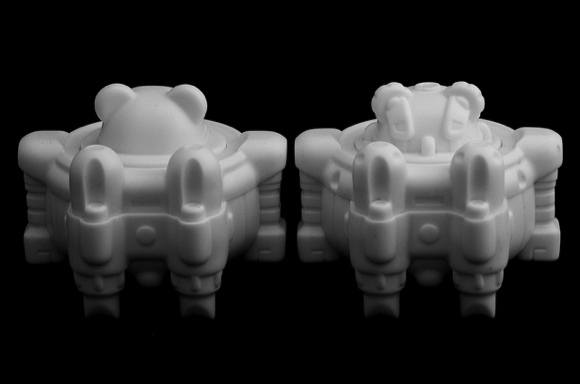 These upcoming collectibles weigh in at 250 grams, stand proud at 3-inches tall, and are as wide as they are deep at 3.5-inches. 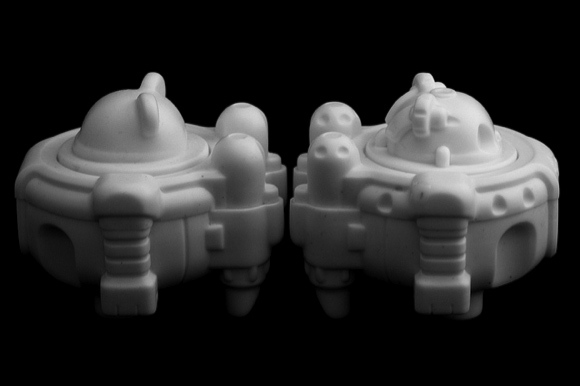 Coming this April, these white versions will release in a small run hand-made by Cris with 5 of each, followed by customized editions shortly after. 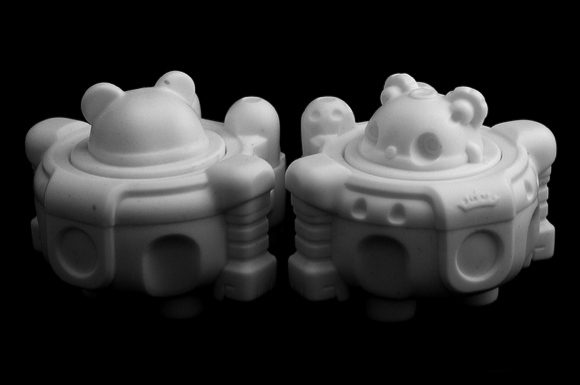 Keep up with news on this cool collaboration by following @CrisR and @PodgyPanda on Twitter.